When I had my lightweight I always ate on the truck. The passenger seat was removed so I had a dorm fridge and plastic dresser and microwave. Taking a full-size is several thousand dollars per year less on pay. If your girlfriend is coming out permanently then it would make sense to go ahead with the full-size though. Congrats man, I just accomplished the same thing as well. I agree 100% with Daniel, you need to reach out. Backing can be taught on the pad, but pre trip needs to be gone over with to prepare you better. As Daniel said, a lot of people train strictly for monetary gain instead of to pass on their knowledge. I hug closer, more in the range of 3 to 4 feet. Then I go 2 and a half spots, typically about 2 doors with average gap or 1 and a half with a huge gap between doors. Then I cut to the right then back to the left. Then turn wheel hard right and start backing in. In the past my fleet manager had me run a few extra weeks up front, so like 5 weeks to take 5 days for instance. My 2015 prostar had the wood trim in it. The newer ones are hit and miss on rather prime has it or not, but they did in mine at least. I lived in opelousas for a while. I really enjoyed it down there except for that humidity lol. Anyone currently in prime orientation? Is anyone from the forums in prime orientation this week? I know prime offers a seven day forgiveness window. Don't know if Jim Palmer offers that as well, but from the time you get on your trainers truck you have seven days to decide that this isn't for you and you're free to leave. They have trainers in the tanker division, not sure how many. Also not sure how much drop and hook freight they have. If you are on Facebook join the prime drivers past, present, future page. I know there is tanker guys on that page. Not sure where you saw that prime has direct TV. You can buy the dish and have it installed but they aren't including that on the trucks. They do have apus and inverters. You can drive condos for 38cpm or a light weight for 43cpm. Also their own in house training program and $700 per week guarantee once you acquire your license for the remainder of your training. If you're coming in for orientation and training, I would probably hold off on bringing your GPS. You will want to bring clothes, bedding, shower bag, fueling gloves, sunglasses,etc. On your trainers truck you would boost likely use his own trucking related items. Once you finish training and get your own truck, prime will set you up with your lock set, load locks, and things of that nature, obviously you wouldn't need an atlas at that point since you already have one. The trucks do have gps on the Qualcomm, but alot of guys use their own unit to compare routes and what not. You won't need 5th wheel or king pin locks since you won't ever drop a trailer in an unsecured area except for a short time occasionally when you have to get oil changes done. Like everyone said right as you lift off the throttle you need to be pushing on the shifter because once you let off the throttle you temporarily release the tension on the drivetrain. Also when down shifting if it won't come out of gear give it some throttle and let off to take away that tension. It'll come not naturally the longer you drive and more used you get to the truck. Also a tip I've given people before is if you do push clutch all the way in and hit trans brake let off the clutch for a second so everything gets rotating again then you'll be able to grab your gear. 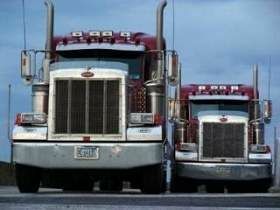 Questions about CDL training for Prime Inc. It's 38 cpm base pay plus 5 cpm for light weight so that brings you to 43 cpm. Fuel bonus ranges from 1.7cpm at 7.75mpg average up to 8.2 cpm at 10.75 mpg average. 20 dollar stop pay for additional stops outside of the usual pickup and delivery. As Matt said that would be for a company driver. During training you would receive the 200 per week loan as a permit driver starting the end if your first week since the first week of orientation and they feed you and put you on their hotel. Then base pay off 700 per week once you earn your license, can make more with your percentage of fuel bonus and miles in excess of 5k. I'm a company driver and average post checks were 800-1200. As Errol said, you can run 70 hours in 7 days, but won't have recaps until the beginning of the eighth day. I personally haven't dealt with one except for in penske box trucks. I can imagine in stop and go traffic it would give your leg a nice break. A lot of guys who have driven them swear by them so we shall see. As of this point trainers don't get special trucks so I think they will be dealing with automatics as well. They did come out with an accelerated program that consist of strictly pad training so it maybe possible that eventually everyone will go that route and not actually drive otr until they have gotten their license in which case manuals for strictly testing/training trucks would be feasible. All new trucks they are ordering will be automatics, they've sent out messages to us drivers confirming that. I doubt we are getting rid of light weight trucks since they allow us to move more freight on a trailer. Now I have been noticing more international light weight trucks so maybe they are moving away from the freightliner light weight. Dba shouldn't be an issue if you can provide proof of income or tax statements. I was working for a family business and actually was not pulling a pay check so they contacted my dad to confirm my story and contacted an employee of ours to verify that I was working there, so even if issues do come up you should be able to work past it. I never took the high road training course but I did study a section a day out of the permit study guide I got from my DMV and did that multiple times before testing and passed first try so a few hours a day should be fine for ya. Yup heated wiper blades are a thing (GM actually uses heated wipers on some of their cars). Gm is a big one to utilize the HUD in their cars (corvette, grand Prix, Cadillacs) to name a few. The issue there is the truck manufacturers haven't decided to incorporate it. I believe it was Cadillac that actually had a night vision setup where when looking through the windshield it acted kind of like night vision goggles. Things are definitely improving in the trucks such as the radar system which is similar to the adaptive cruise control in cars. They should incorporate blind spot monitoring into the cabs similar to cars. As far as Arizona I read that one county actually passed a law making it illegal to even use a Bluetooth headset to talk on the phone. In a scenario with sudden lose of air pressure, the low pressure buzzer should give you time to hit the shoulder on your reserve air. If you aren't able to stop that way, then once the pressure drops low enough the brakes will engage mechanically to stop the truck. The reality of it could be that he wasn't paying attention, as drivers we see plenty of other "professional" drivers using their handheld phones, messing with radio, etc. As people have said if he was aware of a brake issue then he should have refused to drive and tried to secure photos of the issue so if his job was threatened then he would have evidence to support himself. The Qualcomm GPS cracks me up every time I'm near East St Louis. It will say to stay right toward east street Louis.